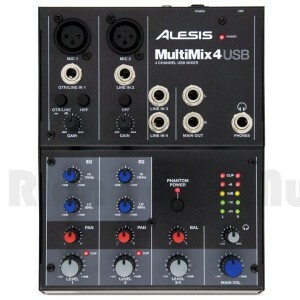 This is the best least expensive USB Mixer Alesis MultiMix 4 USB $79.00 for remotes needing only two microphones. 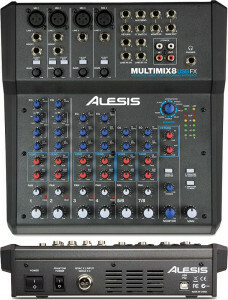 8-channel Mixer with USB Connection and Onboard Effects. We use this board for remotes, (4) Microphones and Luci-Live -Lite. Looking for a larger mixer. We always suggest any of the Allen and Heath products. Here is a step up for $399.00 the ZED-14. These boards are made in England. They last forever. They have boards from $299 to $ $7,000.00. Here is a large array of Allen and Heath Boards. 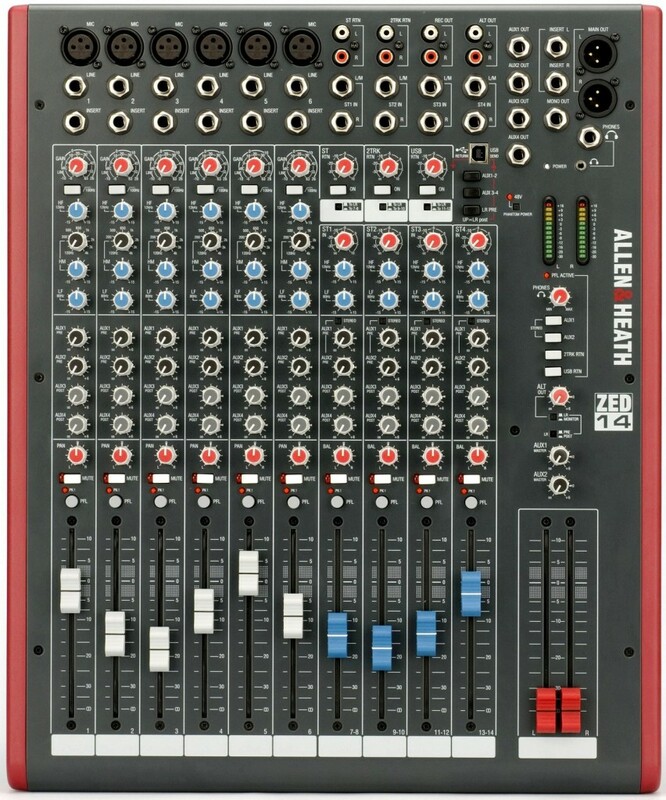 A Flexible and Affordable Live Mixer with Allen & Heath Quality Built In! The Allen & Heath ZED-14 live mixer gives you the quality you’ve come to expect from Allen & Heath in a compact 12-channel configuration. DuoPre preamps represent A & H’s latest technology, while flexible 3-band EQs on each mono channel feature tailored frequency and response. The ZED-14 gives you a variety of great input options, as well as easy USB connectivity for computer integration. Allen & Heath have made a live mixer that lives up to their stellar reputation with the versatile ZED-14, at a great price. Now here is a super Broadcast Mixer for radio stations. 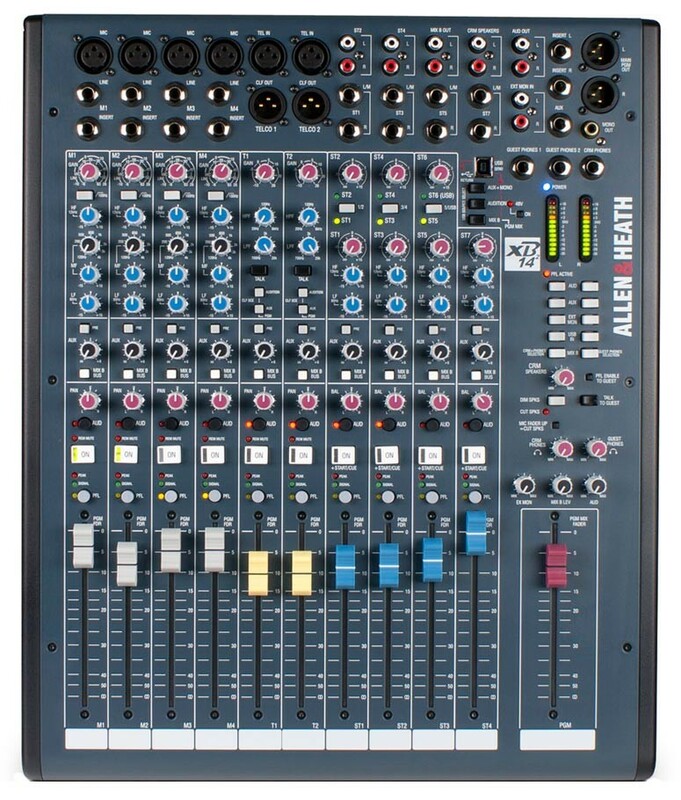 This is the Allen and Heath XB 14-2. It is designed to handle 3 mix minus circuits. Perfect for a small radio station or an ambitious Internet station that is using a professional Telephone system and various codecs like the Comrex access or Bric. This board does it all for just under $1,200.00. We love this small reliable USB Board.